I knew this one was going to be a special book but what I didn't expect was an image of a prized memory of Srinagar City: Pestonji's White Horse. Raghubir Singh's 'Kashmir: Garden of the Himalayas' (1983) has the photograph explained as, "The white wooden horse was a joke-present from one polo-playing Maharaja (Jaipur) to another (Kashmir). A White Horse whiskey dealer rescued it from a junk heap and installed it in front of a building in Srinagar which he rents to a bank." Although the book does not mention it, yet I had heard so much about it (although not the story about its origin), I knew I was looking at the famous Pestonji Ka Ghoda. 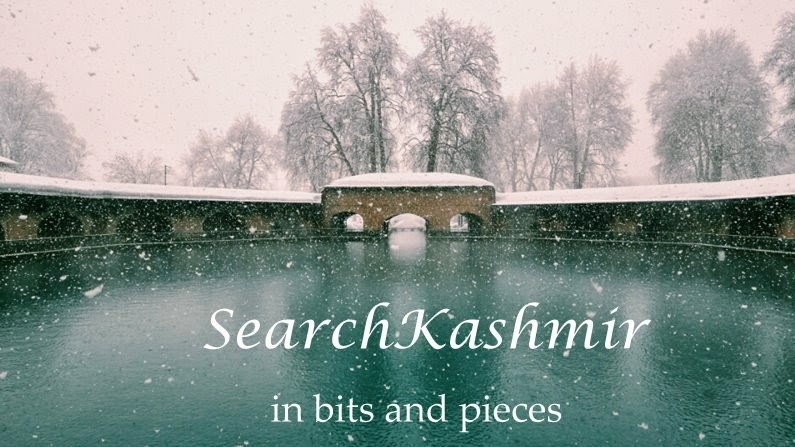 Pestonji name figures in history of Kashmir right from late 1800s to the early times of Sheikh Abdullah (Jinnah and his wife apparently stayed with him during a trip to Srinagar in 1920s). A shopping mall now stands in its place. The book took almost 14 days. Whoever said world has become smaller hasn't obviously tried bringing in a book from overseas. Originally costing Rs. 280. It cost me around Rs.1600 for a second hand first edition. Some more on the book later. And also some more rare books. 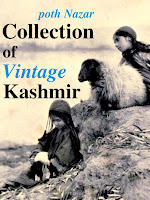 And when I get some time some old writings of an incredible Parsi on Kashmir, its lore, Pandits and their ways of life. Update: From my father's camera. The White Horse (rather a replica?) now in November 2013, alone in a M S Shoping Mal, Residency Rd, Regal Chowk, Rajbagh, Srinagar. Oh! The horse is till there in the ugly mall right in the centre. Few people realise its significance.An artist friend once told me how he was inspired to dabble in sculpture because of the horse and how he used to go to see it everyday. We both were witness to the demolition of the Pestonjee building when the Mall came up. And I was sad to see the horse go. A few weeks later while walking by I saw the horse being restored in the courtyard and was thrilled. I make it a point to show it to my son every time we pass by. He too is getting inspired by the wooden horse! It is a part of his legacy and his roots. At least three generations of Kashmiris have seen the horse and now it is a mere tamasha inside a mall. At least it is still there. Will check it out when I visit next. Also, strange that I grew up in Jammu watching a similar wooden horse in a house along B.C. Road. Oh, I remember this horse. If I am not wrong, the building also used to house Grindlay's Bank in the 80s. There was also a Weston showroom in the vicinity. A classmate's father used to work for the bank and he would bring pink-coloured pay-in forms from the bank for us to write on - to do our "rough work." I think that was the first trigger of love of stationary in my mind. memories are divided on Grindlay and Baroda. Thanks for the comment! Any idea where the Pestonji family is?